A spinal tumor is a mass of cells that forms inside or surrounding the spine. Spinal tumors, a very rare disease, can be cancerous or noncancerous. A spinal tumor is a serious condition and there is no known cause. The outlook of this disease varies, depending on your conditions. Seeking early diagnosis and treatment are always beneficial. Back pain is normally the earliest spinal tumor symptom, which may worsen with time or when lying down. back pain may or may not extend to different areas of the body, like leg, feet, hip or arms. Numbnessin or cold sensation of body limbs,usually the fingers or toes but can be entire limbs like arms and legs. Inability to feel sensations in your body, including hot and cold, and pain. Inability to control bowels or urination. Muscle may contract, twitch, or spasm. Muscle weakness can occur in any area of the body depending on where the spinal tumor put pressure on, which may get worse with time. The spinal cord is key in your body’s ability to physically feel all sensations. When a tumor is pressing against your spinal cord, either loss of sensation or extreme pain can be felt in any area of the body, depending on the location of the tumor and which nerve within your spine it is pressing. usually will grow more slowly. Spinal tumor symptoms may either have a quick onset or will steadily get worse. Usually its pain or numbness will not cease with rest or different positioning . It is important to contact your health care worker or facility if you have any of the following potential spinal tumor symptoms. If back pain is continuously getting worse and cannot be relieved by changing position or resting. If you have done nothing to harm your back and yet you have persistent pain. If your back pain appears to worsen at night (most back pain does get better at night while resting). If you have previously had cancer and you, for no known reason, are suffering a new pain in your back. Muscles weakness: If you experience progressive weakness in your arms or legs. Bowel or bladder changes: If you have sudden or severe changes in your bowel function or bladder function, seek medical attention immediately. AMRI, or Magnetic Resonance Imaging, may be used to scan your spine. This procedure allows the professionals to see very detailed images of your spine to find out what cause your spinal tumor symptoms. 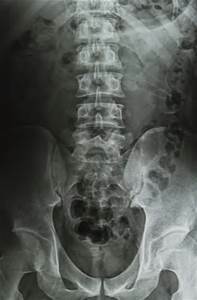 A CT scan , or Computerized Tomography scan , uses radiation to view any abnormal changes in your spine. A biopsy will most likely be performed in order to test affected tissues. This will not only give, in complete accuracy, diagnosis but will also allow health care workers to design a plan for treatment. Primary tumors which stem from the bone or elements in the disc. These are slow growing tumors and are extremely rare. Mestatic tumors are a tumor that spreads from a cancer located at other body part. This spinal cancer is usually spread from breast, prostate, or lung. Meningiomas are tumors formed in the spinal cord membranes. Most of them are noncancerous and some can lead to spine cancer. Nerve sheath tumors grow out of the spinal cord nerve roots. This tumor grows slowly and may take years for you to notice any spinal tumor symptoms. Therapies: Chemotherapy, radiation therapy which can be used instead of surgery, or physical therapy to improve the muscle function.